Ignition key replacement is not required often but when car keys get lost, stolen or damaged, people would require immediate assistance. 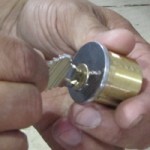 Keeping the phone number of FC Locksmith in hand will make your life easier and safer. Our company is the master contractor for all automotive locksmith services and has specialized technical groups for car key replacement. Thanks to our high tech equipment, well organized teams, stocked mobile units and preparedness, we can reach you fast and take care of the problem on-site. All technical teams of our company are highly skilled and experienced. They provide 24/7 car locksmith services and are experts in auto key replacement. We can finish each service fast thanks to our high tech diagnostic equipment and state of the art tools, our expertise and methodical techniques. We can replace any car key of any Ford or Rover, BMW or Volvo, Jeep or any other car brand. We are familiar with the peculiarities of each ignition car key and follow the best and most effective methods in order to provide excellent work. Car keys are important and private; they are durable yet particularly sensitive, especially the modern transponder key, which is actually a small computer in your hands. The newest car keys are made to provide greater security to the cars and their programming requires exceptional auto locksmith knowledge and the right equipment. You can count on the professionalism and cognizance of FC Locksmith whether you are interested to reprogram the transponder key or have a car key made as a duplicate or because you lost the other one. In any case, we guarantee fast 24/7 service and excellent vehicle key replacement. People cannot predict accidents and they can certainly not predict the future and, hence, keeping our number in speed dial will give you hope in times of broken or lost ignition keys. 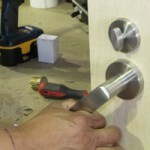 FC Locksmith ensures immediate, on-site replacement.